Thursday, March 14th, 2019 will bring an NBA contest against Western Conference foes with the Dallas Mavericks travelling to the Denver Pepsi Center for a 10:30 pm tilt against the Denver Nuggets. At a quick glance, this is a nothing game with about a month left in the season. The Nuggets are 44-22 and 2nd in the Western Conference while the Mavericks are 27-40 and 14th, 2nd worst, in the West. This game might be a glimpse into the future of the Western Conference in the NBA. 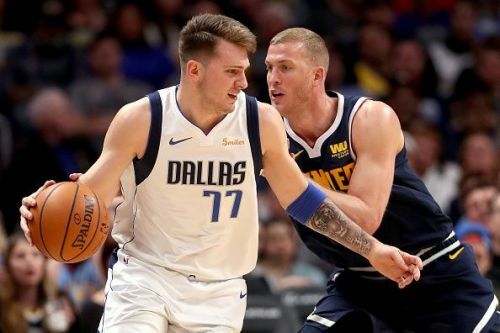 The Mavericks employ perhaps this season's rookie of the year Luka Doncic. He is the first in rookie scoring at over 20 ppg. He is also second in assists per game among rookies at 5.6. The Mavericks added center Kristaps Porzingis from the New York Knicks last month. There are also rumours that the off-season will see the Mavericks make a heavy push to acquire point guard Kemba Walker who will be an unrestricted free agent this summer. It makes sense. Currently, the Mavericks rely on J.J. Barea who is 34 years old and out for the season with an Achilles heel injury and Devin Harris, 35 years old, to man the point guard position. 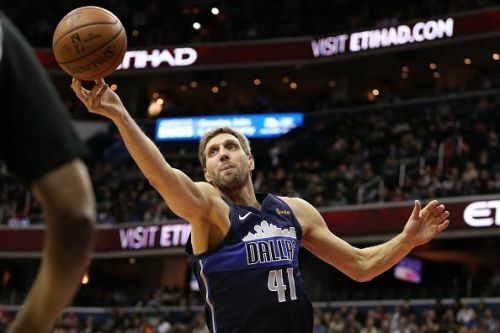 A nucleus of Porzingis, Doncic, and Walker, who is 28 years old now, could put the Mavericks right back into the upper echelon of power teams in the Western Conference. However, that’s potentially the future. Right now, Porzingis is out for the rest of this season with a knee injury and Walker is starring for the Charlotte Hornets until he is a free agent on July 1st, 2019. The Mavericks are 1-9 in their last 10 games, they have lost 6 straight, and are 6-27 on the road. The home team, in this contest, the Denver Nuggets are where the Mavericks desire to be. Not only are they 44-22 on the season and 2nd in the Western Conference, but they are also great when playing at home with a 28-6 record this season. They possess a young nucleus the Mavericks are desperately trying to piece together. The Nuggets rely on young talents like Jamal Murray, Nikola Jokic, Will Barton, Garry Harris, Malik Beasley, and Monte Morris. All of these players play 20 plus minutes a night while Jokic, Murray and Harris are starters. One unknown factor regarding the Denver Nuggets is 2018's first-round draft pick Michael Porter Jr. He has yet to play for the Nuggets due to back surgery. According to Nuggets president, Tim Connelly, Porter Jr. could make an appearance on the court for the Nuggets before the end of this season. Porter fell to the Nuggets in the 2018 draft only because of the back injury. If he is healthy and can contribute this postseason, just how good are the Nuggets? Mavericks head coach Rick Carlyle has been starting recent games with a lineup of Jalen Brunson and Luka Doncic at the guard spots. He has also started Dwight Powell at the center position with Dorian Finney-Smith and Dirk Nowitzki at the forward spots. Head coach Mike Malone will likely counter with a starting unit of Garry Harris and Jamal Murray at the guard spots and Nikola Jokic along with Paul Millsap and Will Barton should round out the Nuggets frontcourt. The Dallas Mavericks will likely struggle to score in this game. At the moment they are averaging 107.9 ppg for 24th in the association. Their three-point and overall field goal average is 27th in the league. They just do not shoot at a high percentage. Mavericks' outstanding rookie, Luka Doncic, shoots just 43% from the field and 34.3% from the three-point line. Another area to watch is the Mavericks' turnovers. They are 22nd in the NBA averaging 14.9 per game. This is also an area that Luka Doncic's game could improve. He does average 5.6 apg but has 3.4 turnovers per game. He is certainly not the only Mavericks’ player throwing away possession. Since arriving in Dallas as part of the Porzingis trade, Tim Hardaway Jr. is averaging just 1.8 assists per game to go with 1.3 turnovers per game as well. The Mavericks also do not move the basketball well or enough. They are 26th in the NBA in the assists category and are led by both Doncic and Barea who average 5.6 apg. However, Barea is out for the remainder of the season. The Denver Nuggets are not the best scoring team in the NBA but do average 112 points per game which is more than the Mavericks. They are led by Jokic’s 20.4 ppg and Murray’s 18.2. The Nuggets also get double-digit scoring from 7 different players. The Nuggets also average 12.3 offensive rebounds per game and are led by Jokic’s 2.9 per game. When this is combined with the Mavericks' ranking of 20th in the NBA for defensive rebounds, Jokic will dominate the glass in this game. The Nuggets are led by Jokic with 7.6 assists per game and 4.9 from Jamal Murray. They move the ball well looking for the open shot and Jokic, a center, is a great passer. The Nuggets average 27.6 assists per game which is 5th overall in the NBA. In fact, they put on a clinic Tuesday night in passing with 40 assists against the Timberwolves. 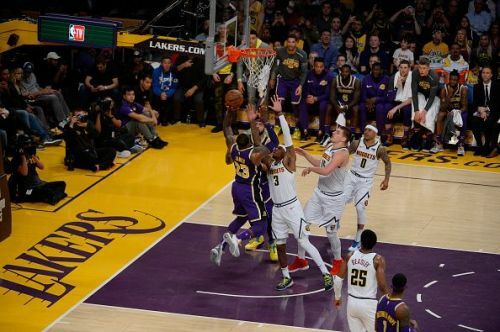 Mason Plumlee had 8 assists, Jokic had 7 and Morris recorded 6 assists. Every single Nuggets' player recorded at least one assist against the Timberwolves. Defensively, the Nuggets hold opposing three-point shooters to just 34.3% shooting which is 8th best in the NBA. It is also exactly what the Mavericks shoot on 35 attempts per game. If the Nuggets don’t defend the three-point arc or Dallas makes their three-point shots, long-range shooting could affect the outcome of this contest. Both of these teams have potential game changers, the Mavericks have Luka Doncic and the Nuggets have Jamal Murray and Nikola Jokic. The Nuggets also have better team depth and are a rock-solid team at home. Mavericks' current losing streak, mediocre shooting efficiency, and road record should lead to the potential of the Nuggets securing a victory by ten or more points.